Jennifer Carpenter tweeted this photo a few minutes ago. It's probably the "original" Dexter house in Miami! Jennifer says: " Oh man... We're gonna get you guys this year!!!". So excited! Damn, I can't wait until September! These months are going to drive me nuts waiting to find out what happens!! 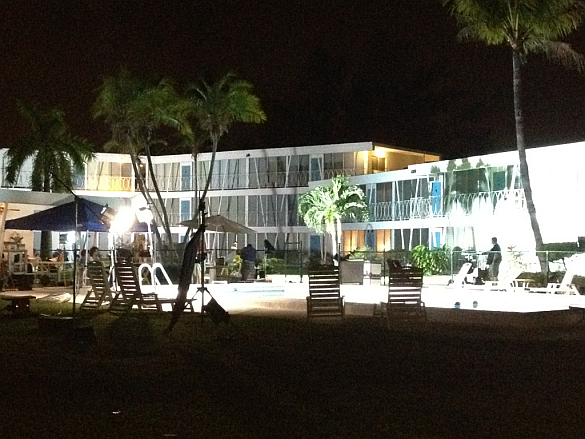 Wait... they're actually shooting in Miami? Or is that the rebuilt set in CA? Wow I didn't think they were filming already. Isn't this a bit earlier than usual? I predict an extended length season opener..(90 minutes), like the Homeland finale. Yep, good news by any standard. Background is important, and California just doesn't seem to cut it for me. Hurry the f*** up September 30th!!!! I dont think that this photo was taken in Miami. This is the set recreated in LA. Missing the condo in the background!! Miami... said it was taken in Miami, all sources confirm it. They don't start shooting in LA until mid to end May.